Your bed should be your haven – a sanctuary. You deserve a mattress that can provide you a cool and relaxed sleep. Don’t resign yourself to sleeping in an uncomfortable bed. The quality of your sleep affects how you well you feel and function on a day-to-day basis, so having comfortable bedding is very important. If you are a shopper, then a cooling mattress must be on top of your priority list. Do you have back pain? Any aches and pain when you wake up in the morning? Maybe it’s time to seek a new mattress that provides you the support need while keeping you cool, even on the hottest summer nights. Designed by NASA, Memory Foam was created in hopes of improving the safety of aircraft cushions, especially during launches. First appearing in the 1960s, memory foam has become much more popular in consumer products such as pillows and mattresses in recent decades. Traditional memory foam is made of a petroleum-based substance called viscoelastic, which is known for being incredibly energy absorbent and conducive to the natural distribution of body weight across the entire surface of your bed. Memory foam is designed to disperse weight and transfer pressure. If you have a bad hip, neck, or back, it could very well be that during your night of sleep you are receiving pressure on parts of your body that really need support. Memory Foam will offer that support by engulfing you in a vortex of cool comfort and release any pressure points that there may be. These pressure points will be equalized throughout the mattress so that the mattress is adjusting for you, not your body adjusting to the mattress. One of the most comment complaints regarding traditional memory foam is heat retention due to its high density, that’s how gel foam came on the scene. The gel is added to further aid in proper air circulation, allowing heat and moisture to escape. Gel Memory Foam is found in many mattresses these days and its benefits really are amazing. The technology is commonly used in shoe inserts and sports equipment for enhanced support. In mattresses, gel memory foam is utilized for prolonged durability, and especially, for cooling. Contrary to popular belief, the vast majority of gel foams do not contain layers of liquid gel inside the foam. Instead, small beads of gel are “infused” (or stirred) in with the other ingredients of memory foam. While gel foam will often have a bluish color that visually distinguishes it from the traditional beige color of memory foam, both gel foam and memory foam feel quite similar to the touch. The major difference is that gel foam helps dissipate heat better than traditional memory foam. And since 8-10% of people who own traditional memory foam mattresses report heat trapping as a problem, the cooling advantages of gel foam make it a better choice for most. How Does a Gel Memory Foam Mattress Benefit You? Promotes Good Airflow – What really makes gel memory foam different from regular memory foam is how it’s made. During the foam-making process, the memory foam is infused with gel particles or beads. The addition of the gel gives gel memory foam products better airflow, meaning heat can be more effectively drawn away from the body. This produces a cooler sleeping surface, which is one of the most valuable benefits of gel memory foam bedding. Provides Superior Comfort – Gel memory foam is still memory foam, which means that it has that signature plush feel and nice sinking sensation. Just like traditional memory foam, gel foam resists motion transfer. If your partner tosses and turns during the night, then you’ll still be able to sleep soundly without being disturbed. Gel memory foam is just as comfortable and reliable as regular memory foam when it comes to providing ultimate comfort. Relieves Pressure and Back Pain – If you sleep on your side, you may experience pressure on your hips and shoulders, making it difficult to sleep deeply or continuously. This can also cause back aches and pain that are difficult to get rid of. Gel memory foam gently responds to your body’s weight and relieves pressure points. By offering unparalleled support, gel memory foam also helps keep your spine properly aligned while you sleep, reducing back aches and pain. All of these benefits add up to a better night’s sleep, allowing you to be cradled in the comfort that gel memory foam provides. Provides Balanced Support – If you’re looking for a firm yet comfortable sleep surface, then gel memory is a perfect choice. It molds to your body to provide custom support where you need it most, and it keeps you from sinking too far into your mattress, mattress topper, or pillow. Good Motion Isolation – Feeling restless? Not anymore! The stable structure is that amazing, it only affects the individual part of the mattress that the weight is on. You will not feel your partner toss and turn. Keeps You Cool All Night Long – Did we mention it will keep you cool? Originally, when memory foam came out it was a great hit and people loved the numerous benefits, however, it also had one drawback as well; it was very good at retaining heat. Not everyone wants to feel hot when they sleep and the sales in this type of mattress did suffer until the design of the Gel Memory Foam which not only prolongs the life of the mattress but will keep you cool and comfortable all night long. More heat gets trapped between the body and the mattress as more skin coming into contact with the mattress. The heat will then get absorbed into the mattress and retain there. The open cell structure in latex allows air to flow easily inside the mattress. To further enhance the cooling effect, manufacturers feature pinholes at regular intervals of the latex mattress in the making process. The ventilation method differs from one brand to another as they can either utilize the standard pinholes or other ductwork. Regardless of the methods used, the key here is to make the latex mattress even more well-ventilated than it already is. Breathability – There is a significant amount of gap between the coils in side the mattress, promoting airflow. Heat retention – Steel or metal, in general, isn’t good at retaining heat due to having high thermal conductivity. 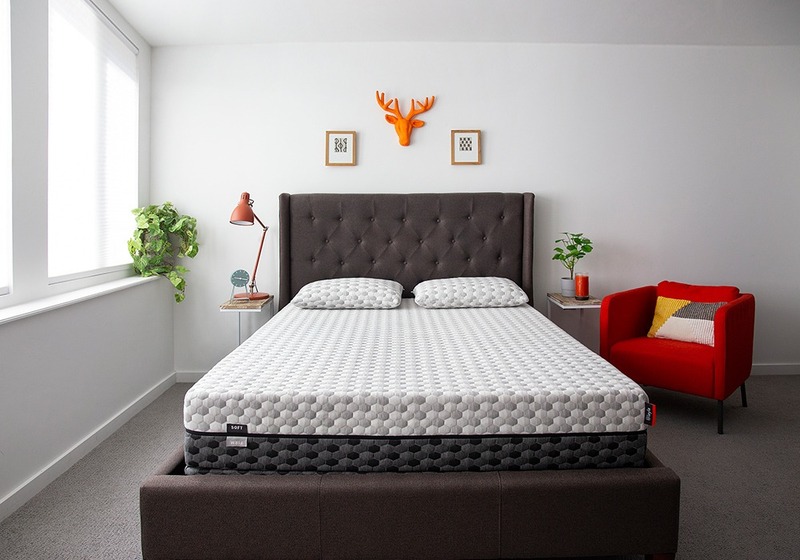 Foam density – The foam utilized in innerspring mattresses is often less dense compared to memory foam so it’s more breathable and less likely to trap heat. Shoppers looking for a cooler memory foam mattress should consider density, memory foam type, and cell structure. The higher density foam in Layla and Loom & Leaf appear to adversely affect heat dissipation. A memory foam or latex mattress with a natural-fiber cover like bamboo or cotton can also improve breathability and help keep your bed cooler. Layla is a unique mattress that takes cooling to the next level with copper-infused foam. Unlike other mattresses, which might put cooling gel or copper infused foam in the bed itself, Layla comes with the copper infused in the padded cover. This innovative use of copper provides a few different benefits. The first and most obvious is that it makes the mattress sleep cooler. Copper is an excellent conductor, so it will carry away your body heat and allow it to dissipate faster. The second benefit, according to the mattress company, is that copper can help reduce joint pain in those suffering from arthritis and other similar ailments. In addition, copper may help promote blood circulation, which not only helps oxygen move throughout the body, but it can also serve to relieve pain. Another benefit from the copper that people seem to appreciate is how cool it feels. Together with the cooling gel on the cover, the copper-infused comfort layer keeps people from sweating. Even those who tend to sleep hot naturally report that they are no longer waking up over-heated in the middle of the night. The Layla is a double-sided mattress. People love that they essentially have two sleeping surfaces for the price of one, and many people find the mattress to be a great value in general. It is indeed much less expensive than traditional memory foam beds, and it offers much more. Rather than having to deal with only one level of firmness, you have the option of “soft” (a 5-6 out of 10, 10 being the firmest) or “firm” (an 8) by simply flipping the mattress over. All in all, the Layla is a great mattress for ensuring a cool night’s sleep and one of our top picks overall. The Nectar mattress is an excellent choice of mattress that sleeps cool and is quite comfortable and supportive, with a price that can’t be beat. It also boasts of the industry leading 365 night sleep trial and “forever warranty” – if you don’t like it and want to get your money back, they offer hassle-free returns – no questions asked. This mattress has that memory foam texture and feel with just the right bounce while remaining very soft, with a super luxurious pillow top that includes Tencel – a premium material found on mattresses costing much more. The top layer is very breathable and comfortable, allowing the mattress to sleep cool while relieving pressure points. The combination of different foams – gel and memory foam in its structure prevents you from getting stuck in the mattress while still giving you the needed body contouring and providing a cool sleep environment. The Nectar is one of our top picks for best cooling mattress as well as one of our overall favorite mattress as well. Going green is the better choice when it comes to shopping for your next cooling mattress. Avocado offers a hybrid that uses only eco-friendly and green ingredients. All natural latex together with a pocketed coil system is one of the best combos a mattress can have when it comes to sleeping cool. The Avocado Green mattress offers a blend of eco-conscious, natural, and organic ingredients to make a one of a kind hybrid mattress. For those that are sensitive to off-gassing or suffer from airborne allergies, having an all-natural mattress is a must. Avocado has that covered by using wool, organic cotton, and all-natural latex. Additionally, they have an optional pillow top for those who are seeking a plusher feel. 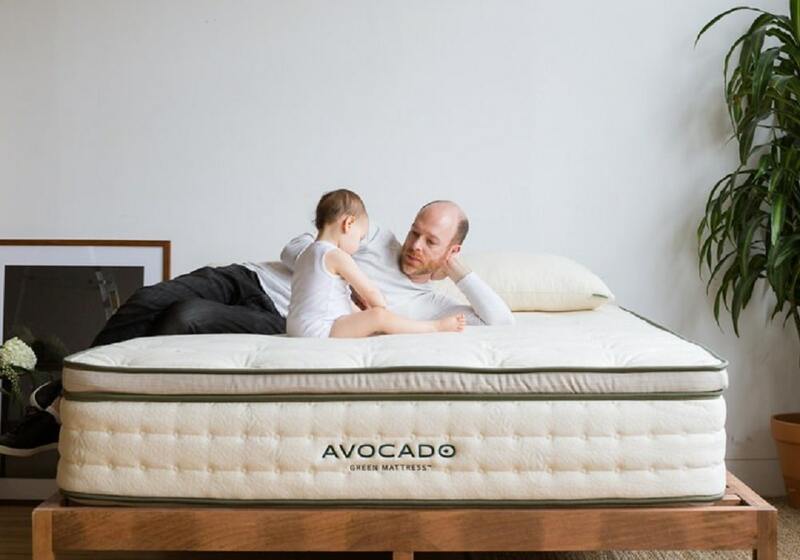 Avocado’s mattress is rated medium-firm, which is a 6 out of 10 in terms of firmness, 10 being the firmest. This level of firmness is supposed to provide a good amount of back pain relief and it exactly does that. It is perfect for back sleepers and most side sleepers should find it comfortable as well. This bed sleeps cool due to the latex and coil construction which inherently prevents heat buildup. If you are looking for an eco-friendly latex-hybrid, this is a great option at a competitive price point for the materials used. Comparing and highlighting the features of the above brands vs their competitors will highlight that they are all built for support, cooling, and comfort. The mattress above all do a great job of sleeping cool and preventing heat buildup during the night, and are all excellent choices for mattresses in general.